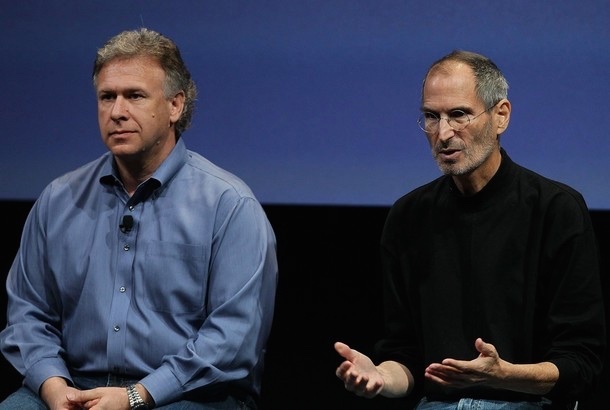 Phil Schiller was one of the NeXT executives who took over Apple with Steve Jobs in 1997. Schiller has been Apple's Senior Vice President of Worldwide Product Marketing ever since, although his job's scope is larger than that - for example, he is credited with the idea of the iPod's click wheel. He is popular among the Apple community for his frequent onstage appearances with Steve Jobs. He delivered Apple's last Macworld keynote in 2009, that Steve cancelled for health reasons, and will likely become Apple's main spokesman in the post-Jobs era.